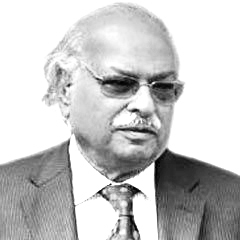 July 2018 elections were yet another big step forward for consolidating gains of democracy made after noble sacrifice in blood rendered by martyred Benazir Bhutto that first forced President General Pervez Musharraf to doff his inform and then hold elections to exit from Pakistan’s political scenario. It was an outstanding accomplishment of the PPP to complete its tenure, hold elections and transfer power smoothly. It is no mean achievement that a full democratic decade was completed and a third time power was transferred without any hassle. Major achievement of PPP was the 18th Amendment that strengthened the federation by empowering the provinces and the National Financial Award. Today PPP fears that this amendment is under threat of forces that see in strong centre an Islamic system and they want to get rid of the 18th amendment; come what may. Since elections are supposed to be catalyst they brought in the change, PTI emerged as the lead party and formed the government at the centre and three provinces. Apparently two main parties that had been doing turns were balloted out of power by Imran Khan whose electoral triumph generated a nation-wide euphoria of hope and inspirations. As per his claim he and his party had spent 22 years struggling to usher in much needed change in almost all facets of life. Obviously one also expected that being a new emerging party with its clear cut objectives for change, it must have prepared itself well with out of the box solutions for the socio-economic problems that had brought untold miseries and hardships to the masses. Notwithstanding the allegations of rigging in elections and support to PTI by powers that be including the highest judiciary that played a major role in decimating the leadership of former party in power by decisions that have been questioned by a section of senior legal fraternity, it is fact that no other party than PTI had it ever so good. One had expected that its leadership would behave maturely, it would not fritter away the popularity it enjoyed and that it would pursue in the right earnest across the board transparent accountability as corruption being the core issue. Unfortunately, the spirit behind the establishment of National Accountability Bureau (NAB) was not corrective rather it was outright vindictive from its very start; it has to this day remained much more of the same. Its actions do not inspire confidence and are commented upon by the honourable members of apex judiciary more so the CJP and rightly so to the extent CJP had to tell NAB bosses that he would not tolerate punitive action before conviction and that there should not be a NAB sponsored media trial of the victims. Its continued questionable conduct despite the fact that it is headed by a retired judge of the Supreme Court, enjoying impeccable reputation calls, for a broad based understanding among the elected members of Parliament as envisaged in the 2006 Charter of Democracy. One is happy to note that even PTI Information Minister Fawad Chaudhry has come on record to seek all party deliberations for consensus based changes in the NAB ordinance to fulfill the fundamental requirements of transparent justice across the board. Lack of good governance had been the bane of the previous government; corruption was its order of the day, cronyism its main character and one was pleased to note that Prime Minister Imran Khan had correctly identified the major ills in the state institutions that hampered good governance. First as party in power in the province of KP, PTI took solid steps to streamline police and make its treatment of the people humane. And one must say that there was quite an improvement in the KP police behavior. After improving police PTI sought to improve the Medicare facilities in the government run hospitals. Their condition and services have improved a great deal but much more is needed to cure them of their endemic ills piling up since ages. His team members — unfortunately mostly comprising of renegades from PPP, PML-N and General Musharraf’s ‘Baqiyats’ (left-over) popularly known as ‘political lotas or turn coats’ have failed to genuinely live up to the spirit behind IK’s high sounding promises and commitment for ‘tabdeli’. One can understand that it is not entirely the Prime Minister’s failings but the shortcomings of his team members that he has to take so many policy u-turns to earn nick name of Mr U-Turn. His main thrust was to reform into civility; police as a national institution. He rightly started by appointing a police commission under senior police officer Durrani in Punjab, where the police is considered to be most notorious and ruthless. Durrani was no nonsense man. He had by accepting to head Punjab Police commission accepted a huge challenge and put at stake his own reputation. And when he was interfered in his decisions by the PTI, leadership he preferred to quit rather than compromise over the posting of Punjab Police Chief. One regrets to say that unfortunately the long standing culture of enforcing the political writ of rulers through police baton and oppression has not changed. Rather lately it is becoming more obvious. It is becoming more and more relevant that PTI leaders too believe that their power lies in wielding control over police. Remember Khawar Maneka’s case when CM took action without thinking or investigating against a senior police officer. Instead of seeking correct redress to his grievance through proper channels, Mr Swati preferred to assert his own ‘superior power’ over the system. He ensured by involving the Prime Minister in seeking IG’s transfer that message goes across that the Ministers are final authority. However, this uncalled for step to ego massage his rich minister, Prime Minister Khan has put a big question mark on his own credibility. Published in Daily Times, October 31st 2018.